We were thrilled to interview the maker of the Renew Sports Car, Bruce Dietzen, and Diana Oliver, the producer of the Hempsters documentary series, on The Cannabis Reporter Radio Show last week. The Renew Sports Car, which was made using all-hemp composites, has attracted nationwide attention and was featured on CNBC’s Jay Leno’s Garage earlier this month. The Cannabis Reporter Radio Show episode featuring Bruce and Diana will be airing on radio stations nationwide in September. Meanwhile, we hope you enjoy this trailer of the segment on Jay Leno’s Garage as a teaser! Jay had some fun driving the car and gave it rave reviews. Henry Ford, a farmer who made his iconic Model-T using hemp grown in his fields, would be proud! We hope that hemp composites will replace petrochemicals for making plastic composites and fuel in the near future. 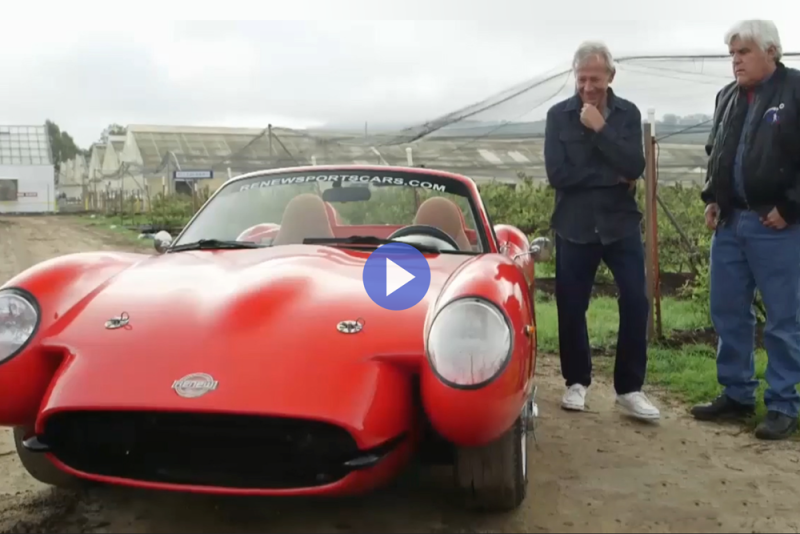 You can find the entire episode of Jay Leno’s Garage featuring the hemp car on demand at CNBC.